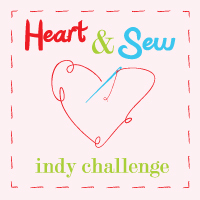 GreyGrey Designs: Heart and SEW Challenge! Guess what? I'm hosting a fabulous new challenge on the Children's Party Network! Check out all the details! And so they're filled with Heart and SEW. You didn't think you were going to get through Valentine's Day without a crafting challenge, did you? I have an awesome new challenge for our lovely and talented members! We're counting on all of YOU to use needle, thread, fabric, and lots of love to make any Valentine's Day craft project you like using a touch of inspiration and a whole lot of Heart and Sew! The prize is very exciting! And I know that EVERYONE will want to win it! CPN Members will vote on their favorite! Link up your Heart and Sew projects here starting Monday, January 17th! Any questions? E-mail me at bschwaigert23@yahoo.com or message me on CPN!